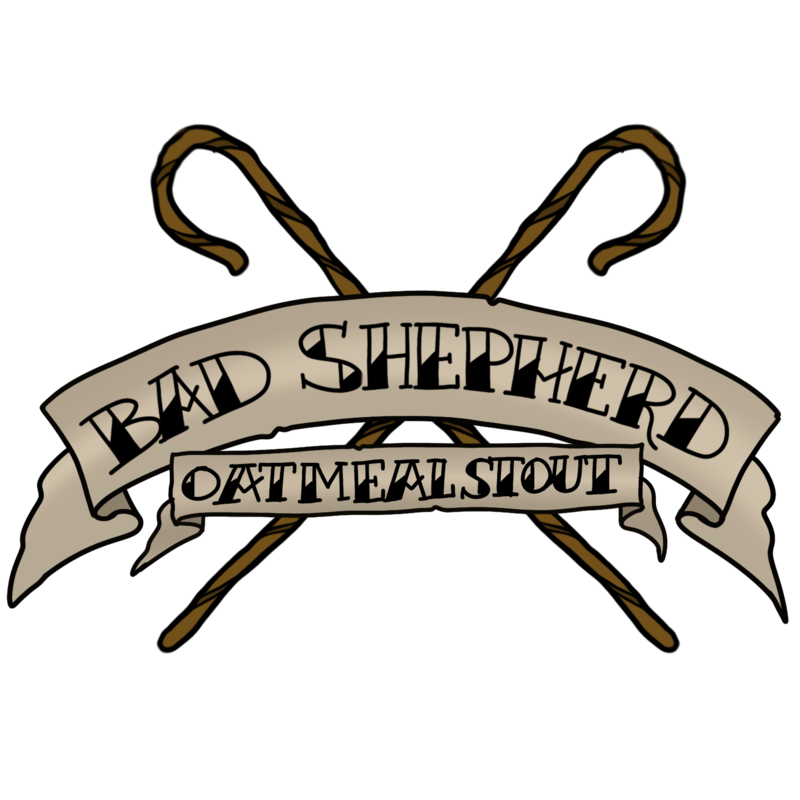 Dark Beer Week 2018 - Bad Shepherd Oatmeal Stout - AoaT. With a stash of dark beers in my fridge, I figured it’s a good time to sit back and ponder the place that dark beer has in my life, with a series of reviews. Dark styles were my first beer love. Stouts, black lagers, and maltier “draught” style NZ lagers are relatively common in New Zealand. As a result I cut my teeth on beers with names like Monteith’s Black, Celtic Red, and Miners Black. However these days I don’t really reach for that many dark beers, especially living in Australia where a standard stout or porter can be difficult to find. 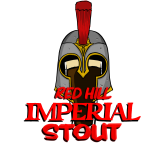 They are often ramped up into imperial/double category (8%+ kinda thing) and they’ve probably got added vanilla or something for good measure. Which is fine, but not really my bag. However, I’ve ended up with a stack in my fridge, all freebies (full disclosure) so why not stick ’em in a glass and take a big ol’ sip. To help along the way, I’ve roped in my old pal Andrew Saltmarsh to do custom art for each beer. Salty has made a point not to look at the original labels and instead whipped up his idea of how they might look. Think of them as alternate universe artwork. Bad Shepherd has carved itself a nice little niche here in Melbourne. Out in Cheltenham, it’s not too far from a train station and provides a great brewpub and barbecue experience in a pretty under-serviced part of the outer city. The best thing about it all is it turns out pretty great beer. It’s also no stranger to making dark beers, and its Hazelnut Brown Ale being one caused drinkers to take notice when it launched in 2015. 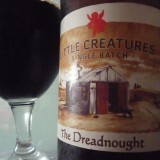 It even scraped into the Hottest 100 beer poll that year, the only brown ale to do so. This little number is a fairly down-the-line take when compared with the Hazelnut; which uses nuts, extract and Frangelico. For this, toasted oats are added, a not unusual ingredient in the wider world of beer and are designed to give a bit of mouthfeel and texture. 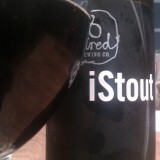 It’s 5,5% and pours pitch black. There is a fresh cream aroma from the glass. Not milky or sour that may indicate an off flavour but more a light top note which is very pleasant. Taste-wise that carries through to a milk chocolate and raw cacao flavour. The oats definitely add some body but I can’t help but wonder if it needs just a touch more thickness on the palate. I also can’t help wonder if that would ruin it completely and the glass is drained fairly quickly either way. The more I drink, the more I realise it’s probably right in the sweet spot, not too thick, but not watery either. There’s a low, spritzy carbonation that doesn’t interfere but helps carry everything through. Honestly if this is how the rest of the week is going to go, I’m looking forward to the next few days. It’s not the sexiest, flashiest, style out there. 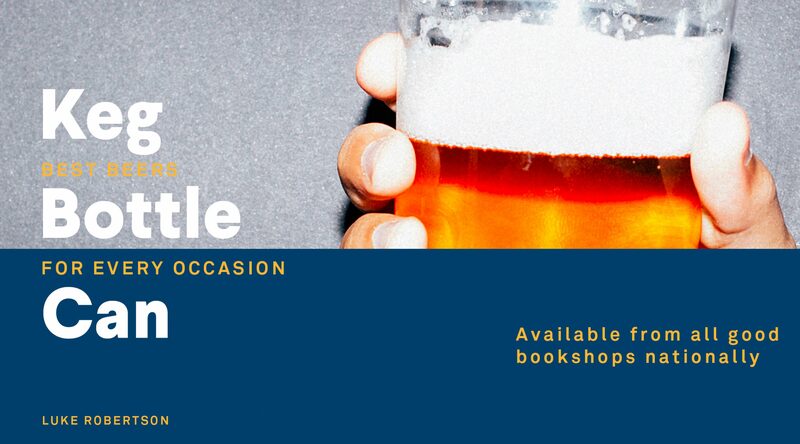 It’s not even ironically cool, like lager is becoming. However this example is pretty much exactly what it should be. The light spritz, and dusty cacao flavours here will work awesomely with some spicy nachos and cheese. I really enjoy Mexican mole sauce that’s spiked with dark chocolate and think chocolatey-tasting beers can work on the palate in a similar fashion, as long as they aren’t too sweet. Give it a go. 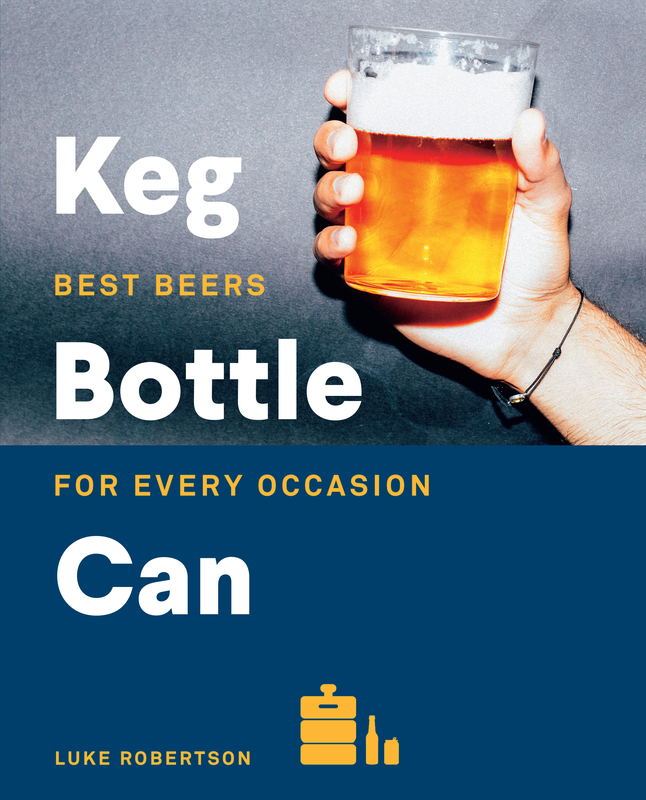 For more beer tasting notes and food pairings, seek out my upcoming book: Keg Bottle Can – Best Beers For Every Occasion. Details can be found here.